Love and romance are as strange as they are beautiful. In any couple’s life whenever love makes its presence felt, they are overcome with waves of unfathomable joy and excitement. In the early days of romance, a couple is literally inseparable and the world suddenly seems to shrink. They do not see anything else beyond each other. The entire world becomes meaningless and mundane and only each other’s company is what they crave and seek. Love during the initial years is effortless. It is a flame that burns with passion and ferocity driven by a strange and almost supernatural force. But alas! Whither love and romance! Couples think as the years move on. They get caught up in the humdrum routine of everyday life and the magic of romance and love gets replaced by a vacuum of monotony. Couples now need to put effort and make time for romance. What was once an unstoppable tornado of emotion has now been reduced to bits and pieces of moments snatched from the mechanical march of time. So what happened? Where has the magic that cast a spell in the initial years gone? What happened to what seemed to be a Karmic connection willed by the heavens? Has that all disappeared and eroded by the march of time? Actually, that is not the case. The magic lives on. But the magic has been buried under layers of routine life and the everyday struggle to earn a livelihood and other social obligations. It just needs a spark or two to rekindle the old romance with off-beat romantic ideas. From vacationing in the most romantic destinations of India to heading out to the popular beach destinations, there are many ways for rekindling the romance and once again bringing alive the magic of love. A stay with some luxurious and indulgent pampering in any of the Sterling properties is sure to recreate the old magic. Couples take time off from busy schedules to get away from their daily routine and head for a vacation periodically. This is a great way of renewing the connection with each other and literally re-discovering each other. There are, of course, many ways to reconnect with each other and the basis is always a shared activity. It could be a long trek together in the wilderness where the seclusion and the beauty of nature are sure to revive old sparks and kindle the fire of romance. Another option could be as simple as a romantic candlelight dinner somewhere far from the maddening crowd. The ambience is sure to stir old passions and revive the vintage magic of romance. But probably one of the best and most popular ways to rekindle romance is to go in for a couple spa ideally in an exotic location far away from the cacophonic vibes of urbania. 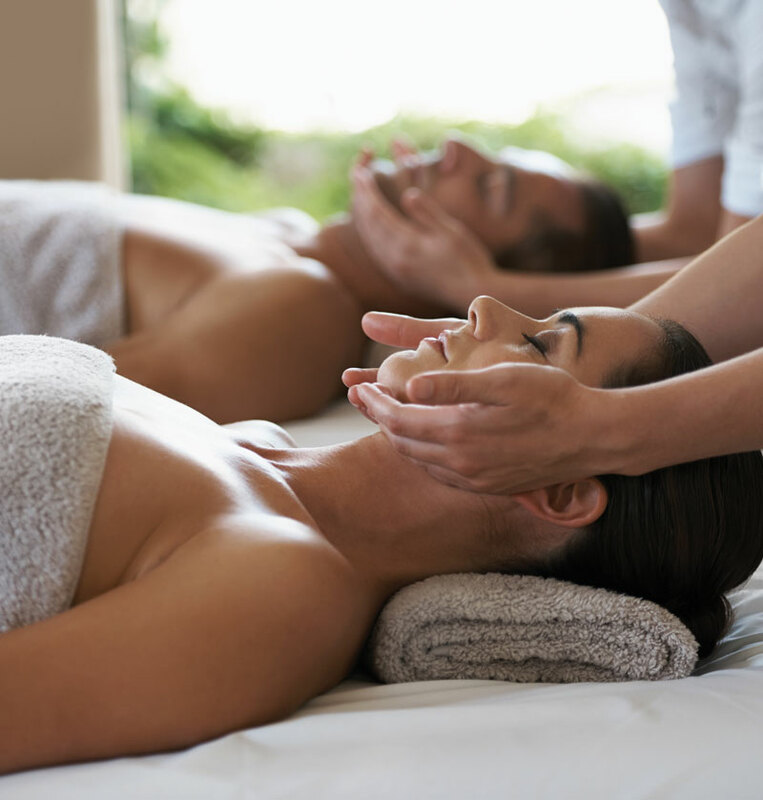 A couple spa usually offers couple massages. Most of the romantic spas have special rooms that can enable the couple to get a massage at the same time. Many have lavish couple suites which are the ultimate in luxury where the couple can have their treatments and also lounge together in privacy. These suites are usually plush with amenities that may include lounge beds, Jacuzzi and steam showers, pedicure and massage chairs, in short, the works! As muscles relax, minds entangle themselves from the stresses of daily life. As the fragrance of scented candles and aromatic oils waft through the air, the old magic resurfaces. Latent embers of love and romance cackle to life and the couple is once again bathed in a euphoric aura of the romance of shared pampering and indulgence. The quality time that a couple spends in a spa is something that will leave them with a renewal of bonds that seem as fresh as new. The experience is sure to linger for a long, long time and even when they feel that the effect is waning when they return back to their daily routine, the memories would be enough to rekindle the embers of romance, yet again.